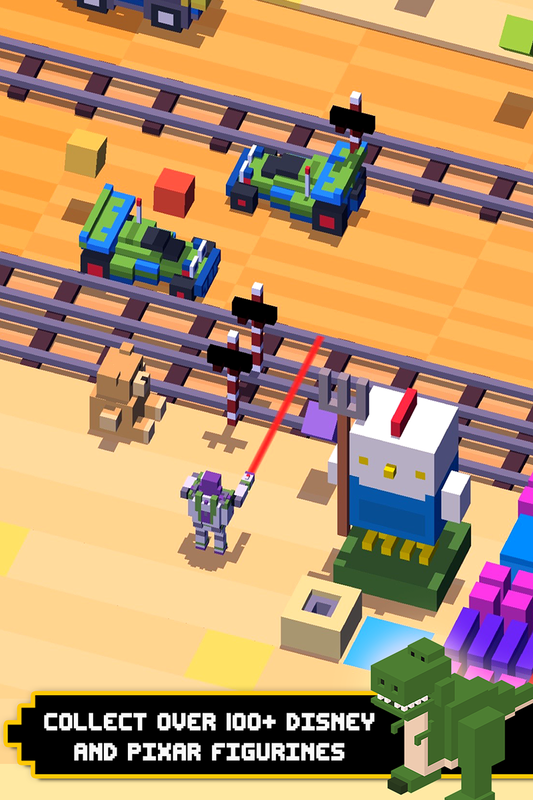 Imagine, if you will, a version of Crossy Road with Disney characters. Have you imagined it? 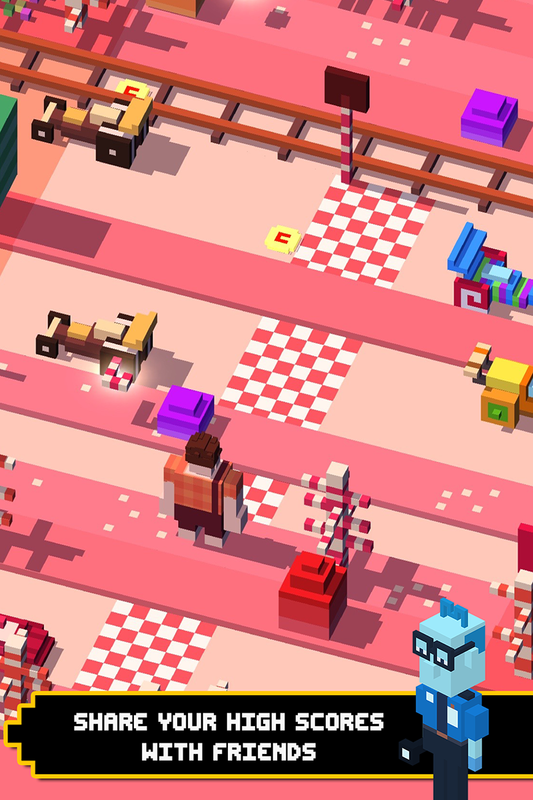 Okay, that thing you just imagined exists, and it's called Disney Crossy Road. 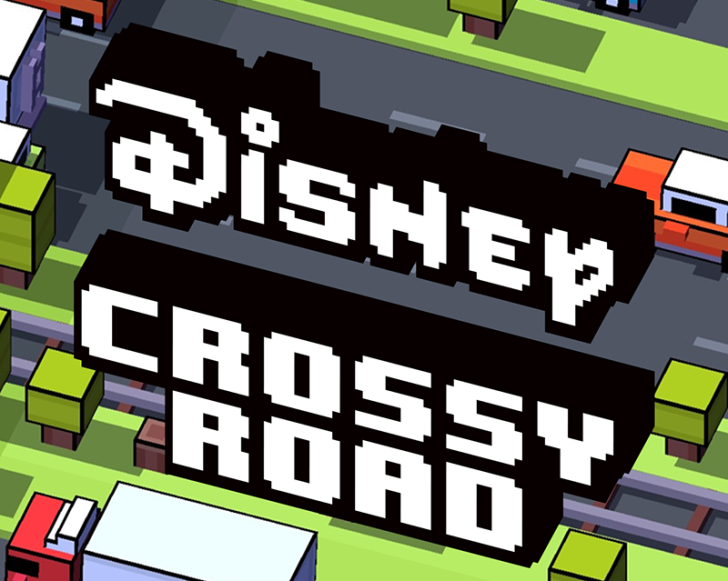 It's like the original Crossy Road, but with characters from a wide array of Disney franchises. 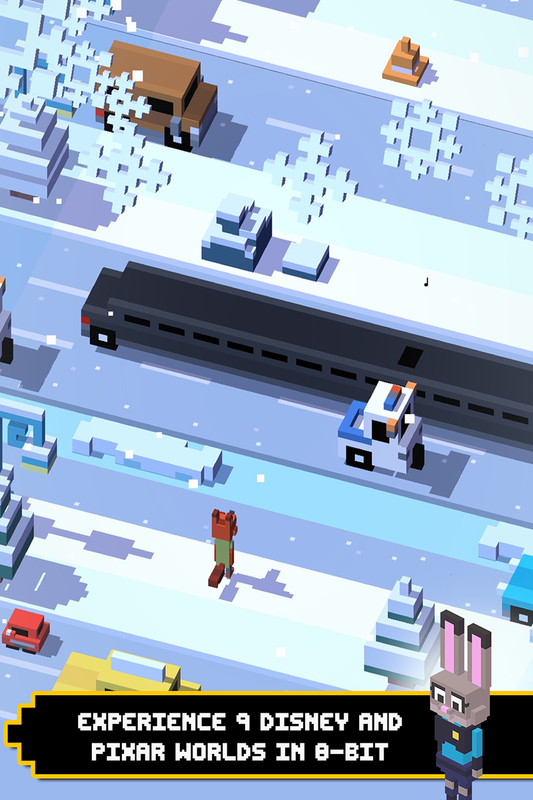 As with the regular Crossy Road game, the goal is to hop through the level, making it as far as possible. You will eventually get run over by a car (or some other appropriately themed car analog) or fall into a river. You'll get coins from playing, and those coins can be used to unlock more characters. Each collection of characters from a movie (or Disney park attraction) comes with a distinct level theme, and of course, the layout of the level is different each time you play. The game currently includes characters from The Lion King, Tangled, Toy Story, The Haunted Mansion, and more. It has the same voxel style as the standard Crossy Road game. 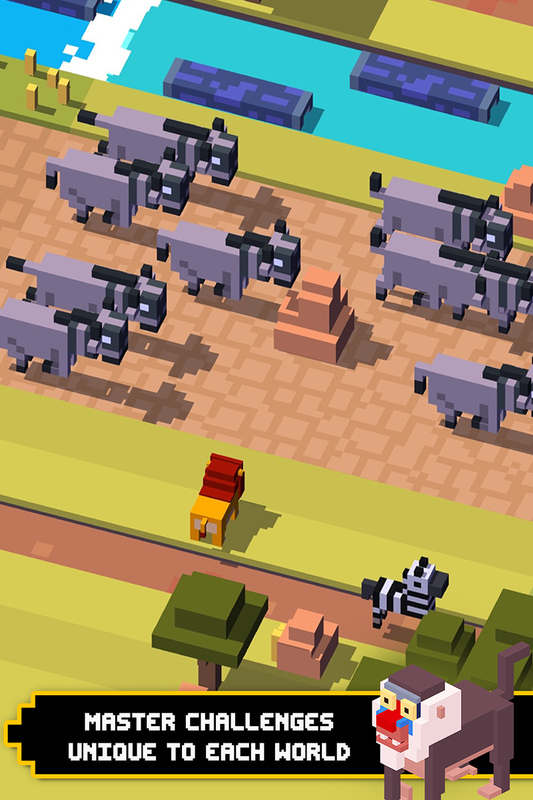 Disney Crossy Road seems a little more challenging than the standard version. It's free if you want to test that. Characters can be unlocked with money too, hence the in-app purchases.